​Here at Ridgway Family Dentistry we are blessed with an amazing staff who are dedicated to caring for our patients. 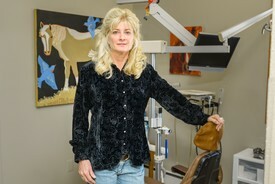 Joan has been serving people as a dental assistant for over 22 years. 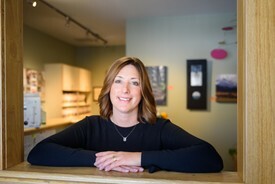 She has been at Ridgway Family Dentistry since Dr. Thomas opened, over 11 years ago, and takes special joy in getting to know her patients. Joan and her husband Steve moved to Ridgway twenty years ago from St. Louis, Missouri where she grew up. She has been married to Steve Scoville for over 39 years. She has three children and five precious grandchildren. Her favorite thing to do is to hang out with her family, trying to keep up with the grand kids. Geri , one of our dental hygienists has over 30 years in the field with most of her career working in periodontics (gum speciality). 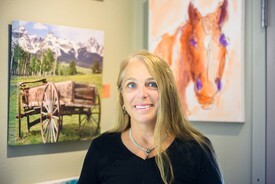 She has lived in Colorado since 1976 and has been with Ridgway Family Dentistry since 2010. She married her best friend Dan Daley and together have three daughters, two sons, three grandchildren and a Black Lab named Gus. She enjoys skiing, road biking, hunting, traveling, and spending time with her family. 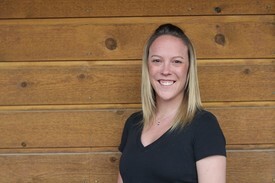 Lynsey is one of our Dental Hygienists. Growing up in Grand Junction it was a natural step to attend Mesa State University and after two years of study she decided to follow her mother’s footsteps and went on to West Liberty University, where she received a Bachelors of Dental Hygiene. Lynsey relocated to Telluride with her two boxer dogs Bowie and Geddy and is planning a summer wedding to Matthew! She enjoys golfing, hiking, camping and snowboarding and is in a competitive league for disc golfing, traveling all across the state for competitions. Darcy has been working in dentistry since 1984 when she married Michael Thomas and he recruited her to 'help out' in his office. Currently she fills in where ever needed, at times assisting on procedures and other times at the front desk. The Thomas' have two grown kids, Gregory who lives in Austin, TX and is a photo editor for a start up social media company and Sarah who lives in Los Angles and is a meeting planner for The United Way. At home, are the 'replacement' kids, Bella, a 110 lb newfoundland and Ozzie a rescue mutt who keeps all entertained with crazy antics. In her off time, Darcy enjoys road cycling, snow and water skiing, paddleboarding, cooking and reading novels. Amy is our newest addition but she is by no means new to the community! Raised in Montrose she graduated from Montrose High School then went on to Mesa State University and earned her Associate degree in Business. After marrying Duane, she lived at Last Dollar Ranch for over 20 years where they had to snowmobile in/out in order to get kids to school, run errands or attend social functions. She is a true pioneer! Amy has two grown kids, Jenna and Hasten, who are both continuing their post high-school educations in Arizona. She loves to cook, x-country ski, hike, and generally do anything outdoors but her favorite pass time is intimate gatherings among friends and family.